So this month has been a very quiet one for me, l've been busy with work experience for my course. I don't know lf have told you but l have started a business studies course . Its been pretty hectic with loads of assignments and assessments but l'm sure it will be worth it in the end. 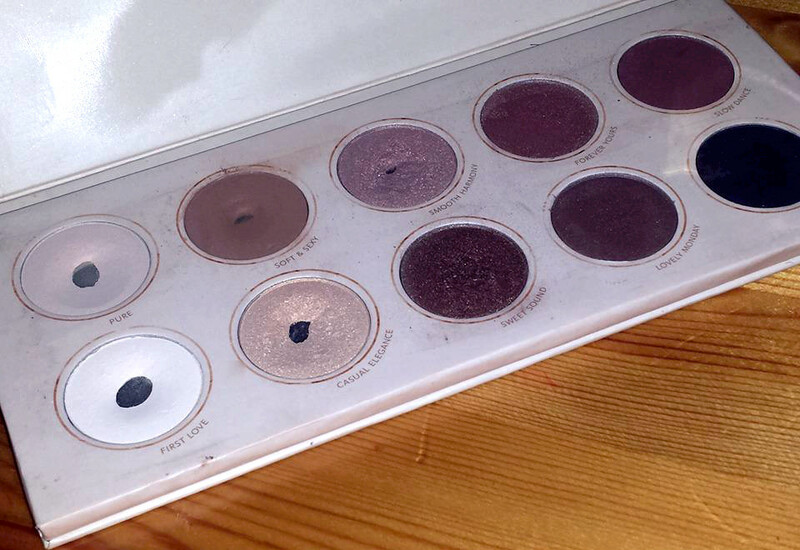 Anyways my favourites for February are first of all my Zoeva Naturally Yours palette. I bought this a year or two ago and have gotten back in to it . I've actually been trying to use it up to as it will expire later this year . But l find their shades very blendable and pigmented there is one shade l don't find that pigmented and thats forever yours but thats okay . l get to use more of it up to make it show . I love the colour. Sorry it looks a bit dirty just lots of love given to it. 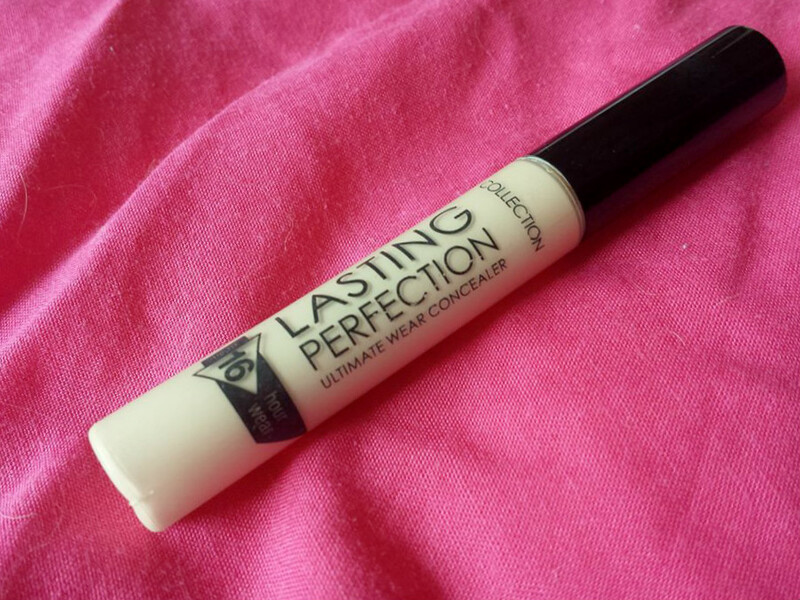 My next make up favourite and l think this is everyones favourite and thats the collection lasting perfection concealer in fair . I find it easy to blend and it suits my skin colour and it is so cheap honestly go out and get this its better than any high end concealers. 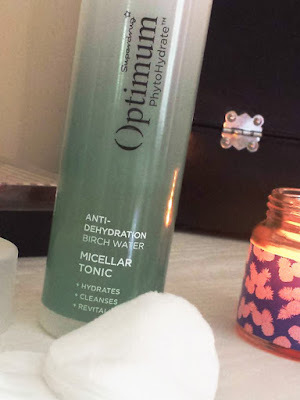 This is the best micellar water l've ever tried and its even better than the garnier micellar water. The main reason why l am walking away from Garnier is because its products are tested on animals and l want to walk away from any company that tests on them. So l found it a struggle to find a good cleanser/ micellar water but l found this one and l love it . Its from Optimum and they are a superdrug brand . I find it very hydrating on the skin doesn't leave my skin very dry like the garnier one did and it takes off eye make up which the garnier one did not well worth the purchase. The next one is a primer l found from Barry M , l'm never tried their primers and l was very interested in trying a primer water to see lf its any good. 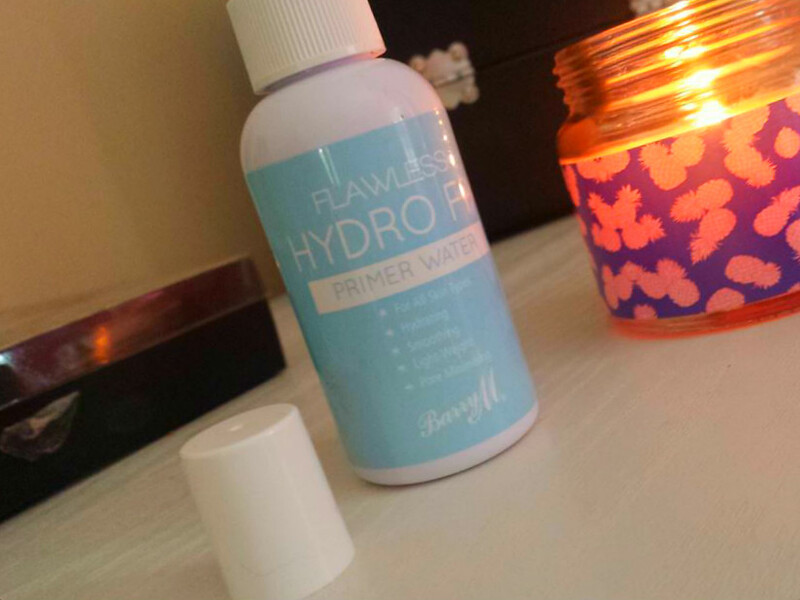 I find this primer so hydrating while keeping my make up on all day . It doesn't leave any weird feeling on the skin afterwards and smells nice without it being over powering plus it dries very quickly and as l'm in a hurry most mornings l don't have time to wait around. 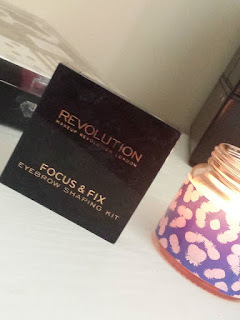 I can't wait to try more from Barry M.
The last favourite l Have is a little brow kit from Make up revolutions , l find make up revolutions , you get great quality for an affordable price.I've been using this for a good few months and l still haven't finished it and l use it everyday. Its so pigmented and its not that powdery compared to a lot of other brow kits out there . 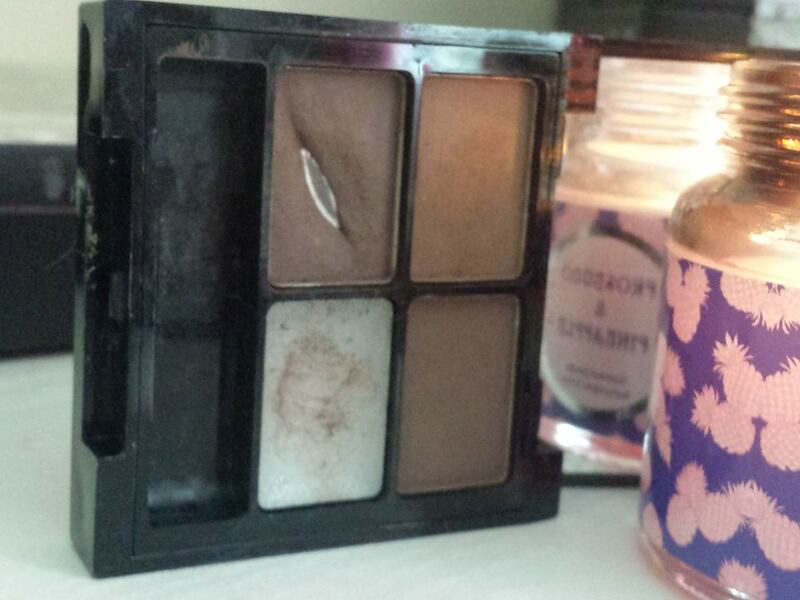 I think this was like £2.50 from superdrug . Would definitely repurchase this when it is gone. 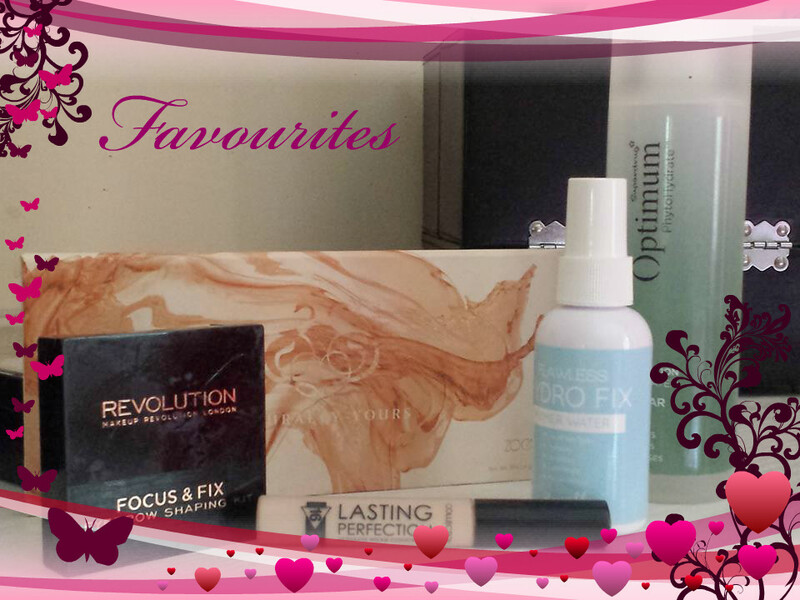 So thats the last of my favourites for this month and l would love to know if you have any of these .